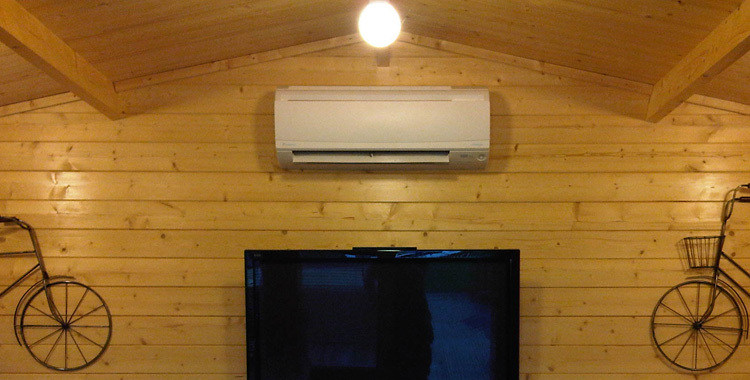 This is an air conditioning system we installed in a client’s log cabin in Leicestershire. This system provided year round climate control, giving heat in the winter so the client could make more use of the room. AC systems are very efficient air source heat pumps and provide 3-5 times heat KWs compared with electric heaters.